↑ BirdLife International (2012). 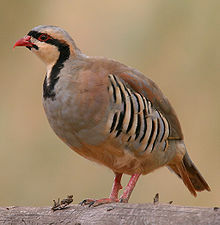 Alectoris chukar. In: IUCN 2012. IUCN Red List of Threatened Species. Version 2012.2.